Based in Essex. A small focused team providing a number of IT Services to both public and private sector throughout the UK. We would be happy to discuss and deliver all of your I.T security needs. Astute Technology are the manufacturer of Astute Visitor Management AVM. 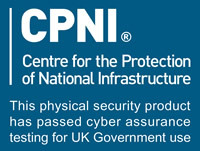 AVM has been externally certified as cyber assured secure product and is approved for UK Government Use, for details contact CPNI. AVM provides a complete scalable security solution and can be fully integrated with industry leading Access Control systems. AVM is available as a standalone system or a multi site system for larger organisations. Supply & installation of Cyber Assured IT hardware/software. Astute Technology partner up with Identiv at their Open House in London to demonstrate it’s CPNI approved visitor management system AVM which integrates into the Hirsch Velocity software.